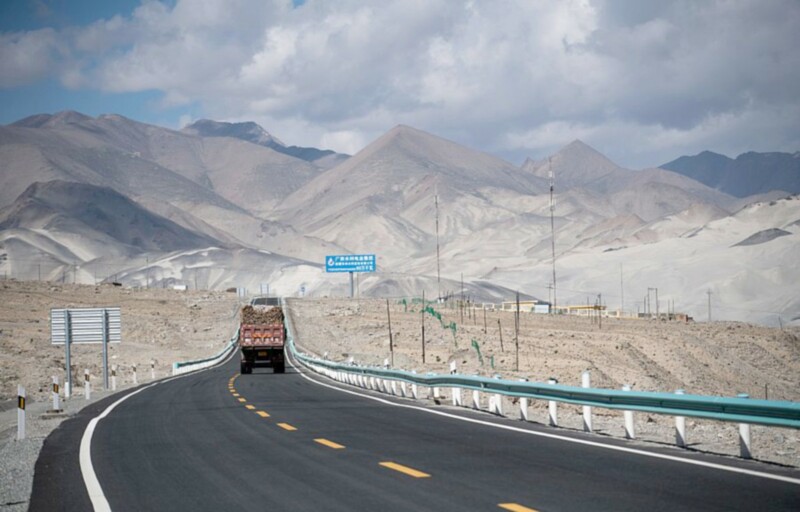 Many of us know about the role of the Chinese People’s Liberation Army (PLA) in the construction of the Karakoram Highway (KKH). But I am sure that not many know that well before the Chinese, the United States Air Force (USAF) helped the Pakistan Army Engineers working on the Indus Valley Road as the KKH was called in the early 1960s. A jeepable road to Gilgit through the Kaghan Valley had been constructed after Independence but gradients were very steep, particularly over the 4,000-metre Babusar Pass which was snowbound for six months of the year. A number of surveys for a road along the River Indus from Batgram to Chilas (a distance of 250 km), had been undertaken during the 1950s but it was only under the government of President Ayub that the project gained momentum. In 1959, the Pakistan Army Engineers started work from both ends but the engineer company and stores required for the northern end had to be flown from Chaklala to Gilgit in 60 sorties of Bristol Freighters of the PAF and then transported by jeep 100 km down the valley to Chilas. There were serious delays at the northern end as it took the PAF six months to airlift the company which arrived at its destination with insufficient stores and no plant equipment. The only solution was to bring the required stores, particularly cement and construction equipment, by air. A disused airstrip that existed at Chilas was strengthened but the surface was weak and gave way after a few flights of Dakotas. At this stage Pakistan turned to the US for assistance. In the first week of December 1960, six C-130s from the 322nd Air Division, USAF Europe, based at Evreux, France, arrived at Peshawar. In their mission brief at Peshawar, the US team was informed that that the mission codenamed OPERATION ROAD GRADER had been tasked by the U.S. State Department. They were told that they were assisting in the construction of a runway at Chilas but there was no mention of the Indus Valley Road. The classified mission briefing was operationally thorough, but intentionally sketchy on political details. The team was informed that they were supporting the Pakistanis in their battle against India over the disputed rights to Kashmir and were informed that it was a secret mission which remained highly classified for decades. They were also informed that the operation was classified because of the sensitivity of the situation a US ally (Pakistan) fighting against a US friend (India) in the disputed territory of Kashmir. On the 10th of December 1960, a Combat Control Team (CCT) of a captain and three sergeants were para-dropped into Chilas. The team had no maps or photos of the area to study before the mission, and they were less than 100 m from landing when they realized that the drop zone was a field of rocks! They were very lucky that nobody was injured as they had no medics. The locals, who greeted them on the drop zone, couldn’t believe they had jumped from an airplane. It was beyond their comprehension or experience. USAF men relax over tea at a roadside shop on their way back to Gilgit after succesful conclusion of their work at Chilas. Apart from their personal gear, the mission equipment consisted of a PRC-6 VHF-FM radio; a TRC-7B portable VHF-AM radio; a hand-cranked G-3 generator and equipment for measuring winds aloft. The drop missions commenced the next day and over a ten-day period, the six C-130s airdropped 64 tons of heavy construction equipment consisting of a road grader, a roller-compactor, a D-4 Caterpillar with their associated equipment and 600 tons of cement, steel rebars and other constructions stores. To avoid detection by radar (Chinese and Indian), the aircraft were briefed to fly through the river valley. Inspite of these precautions, around 5 p.m. every evening, the team would see a plane come from the direction of China, fly over at about 5,000 feet and then head back. They assumed that this aircraft was taking pictures and checking the operation. Fortunately, the weather was good always cool, crisp and clear but at the drop zone, winds were constantly shifting. Therefore ten minutes before takeoff, the CCT provided the winds aloft for calculating a release point which was transmitted to Peshawar through Morse signals by the Pakistan Army Engineers. While at Chilas, the team stayed in an old stone building with a fireplace. They slept on the dirt floor, which was certainly better than sleeping in tents. Their diet consisted of C-rations and partridges. The team had not been allowed to take military weapons and decided to use “survival gear” as a cover story for a shotgun a rudimentary form of team protection, which also came in handy for supplementing their diet. They were also kept well supplied with liquor through the airdrops. Five days into the mission, a photographer arrived in a Pakistani L-19 to record the operation, for historical purposes. Just three months earlier, a formation of L-19s had carried out a preliminary reconnaissance of the Indus Valley in anticipation of the first historic flight to Gilgit, and the strip at Chilas had been cleared for an emergency landing. However, before taking off, the pilot informed the photographer that he wouldn’t be back to pick him up since the strip was neither adequate nor safe. On the 21st of December, the CCT left the mission area for Gilgit, from where they were to be flown back to Peshawar. The 100-km journey up the valley to Gilgit took the better part of two days during which they climbed over several landslides and had to walk over suspension bridges as it was too dangerous to ride across in a jeep. At Gilgit, a Bristol Freighter of the PAF was waiting to fly them back to Peshawar, and the American team made it home for Christmas. Interestingly, the history of the Karakoram Highway published in 2011 is silent on this large airlift by the USAF. But a question that begs asking is: why were the Americans willing to assist? Relations between the US and Pakistan during the presidency of Eisenhower were at a high with a large consignment of military equipment delivered to the Pakistan Armed Forces and more in the pipeline. In return Pakistan had allowed the CIA to establish a strategic listening post at Badaber, which was staffed by over 1,300 US personnel. Badaber was directed against the Soviet Union and rumour has it that the US asked President Ayub for another listening post at the Deosai Plains to focus on China. An airfield at Chilas and an offer of further assistance in the construction of the Indus Valley Road may have been a stepping stone for the Americans to Deosai. Reportedly, even 45 years later during the tenure of President Musharraf, the US government again expressed an interest in having a base at Deosai in exchange for developing the KKH into a dual highway. Major General Syed Ali Hamid on the little known construction role of the United States Air Force at Chilas, 1960.